Mumbai’s ambitious Coastal Road project—connecting South Bombay to the suburbs—is finally going to start in April, 2018 and be ready for use to the financial capital four years later. While the work is likely to start in April next year as per officials of Brihanmumbai Municipal Corporation (BMC), Municipal Commissioner Ajoy Mehta has asked the administration to pick contractors by March next year, the Hindustan Times reported. The project was earlier scheduled to start from January, 2018. The 29.2-km long road, which will run from Princess Street near Marine Lines to Kandivali, is expected to add to the development of the western corridor of Mumbai and increase the capacity for daily vehicular traffic which is continuously growing. The number of vehicles registered in Greater Mumbai itself is growing at 4-5 percent per annum. - The Coastal Road will be 29.2-km long road and have as many as eight lanes. It will also have two dedicated bus lanes. - The 15,000-crore road project will also build a tunnel in between Girgaum Chowpatty and Priyadarshini Park, through Malabar Hill. From the Park it will run along the coast and connect to Bandra-Worli sea-link. - An underpass will be built for Haji Ali. Traffic coming from Tardeo will be directed towards BWSL. - The first and south phase of the project will establish a link between Princess Street flyover and south end of Bandra-Worli Sea link. 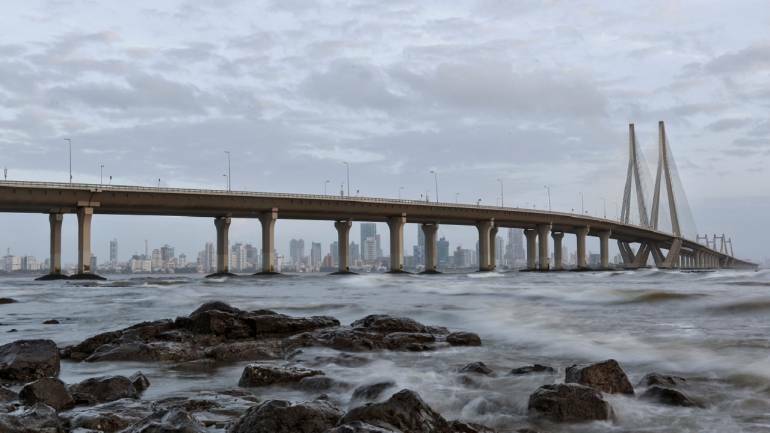 Following the completion of this some trouble may arise as Maharashtra State Road Development Corporation (MSRDC) has asked BMC to buy the sea-link flyover at a high price for incorporating it into the project. - The final and north phase of the project will run from the north-end of the Bandra-Worli sea-link to Kandivali. Its construction will start after the first phase is over. - Civic officials have earlier said they wanted the Coastal Road to be a freeway from beginning to end. But the state government has proposed the Bandra to Versova stretch to be built as a sea link giving rise to the possibility of a toll tax and delay due to the tussle between BMC and MSRDC. - The project will need reclamation of 186-hectare land from which 91 hectares will have to be created as green spaces. There will also be elevated roads and flyovers.